It is common in many schools to use blackboard or green board in classrooms. These boards are traditional, easy and convenient for teachers because teachers have been using them. But if we think a new, easy and teacher friendly board, what is the wrong? Yes, we are talking about white board. White board is very smart and easy to use device. Now days it became a need of smart school smart classes. There may be a lot of innovative ideas for teachers about whiteboard. Would you like to discuss about the advantages of white boards? In modern age the teachers prefer to teach by smart and active teaching learning methodologies, where they find whiteboard very useful in their teaching. In many schools there are only chalkboards are available for classroom teaching activities, buying whiteboards is a cool idea. 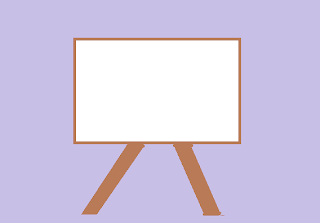 There are several types of classroom whiteboards are available in market such as; whiteboard with stand, wall whiteboard, large whiteboard, small whiteboard, portable interactive whiteboards etc. there should be different types of whiteboards for office and the classrooms as mini whiteboard for office and big whiteboards for classrooms. We should be more aware for classrooms whiteboards, because there are several types of whiteboards are available in many designs. If we have only a few numbers of students we may consider about a small whiteboard, but if there are more students in our classroom, we have to arrange a large whiteboard. If teachers have some planning’s for outdoor activities, they can purchase a portable or free stand whiteboard. If teachers are not capable to buy whiteboards, they can prepare the wall whiteboard or the can use whiteboard sheets or calendar whiteboards to do some related activities. Smart Class is the new and innovative concept in education where teacher teaches by projectors, computers, multimedia and sometimes by internet. In a smart class, whiteboards should be suitable for projectors. In a smart class there may be use of pointers and other devices, whiteboard should be comfortable for those devices. A whiteboard should be adoptive for interactive whiteboard activities. There should be proper whiteboard erasers to erase and clean the whiteboard. There should be fine marker pens to write on whiteboards. 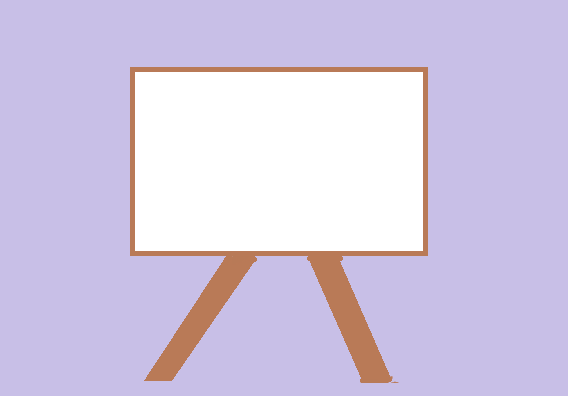 White boards are ideal for smart classes and virtual classrooms. In a smart class where lessons are being taught by online and virtual way of teaching, smart white board will help the large number of student to attend the virtual class on the smart white board with the help of projectors. Arranging the interactive whiteboards is a smart idea for our classroom. White board can be used for many purposes like lesson plan presentation, showing the slides for science teaching, showing educational movie, organizing the quiz activities and so more. “Whiteboard” may be used for many purposes. Teacher can arrange the best whiteboard activities in a classroom as interactive whiteboard games and crossword puzzles. In these days teachers are familiar with smart school, smart class, e learning, digital class, audio visual classes and so many. Whiteboard is essential for all these modern educational teaching techniques. We see a lot of uses and importance of whiteboard in modern and innovative education. Whiteboard is essential for projector based teaching. Teachers use different styles while teaching in classrooms. In modern schools and universities teachers are using innovative smart class equipment. Whiteboard is one of the most popular of smart board teaching. Many teachers do not understand the creative importance of whiteboard. But actually there are a lot of creative uses of whiteboard in classroom teaching. Teachers can use whiteboard as an active and interactive tool in their classroom. Whiteboard is not only used for teachers, it may be used by explaining the student’s thoughts and ideas. In an active classroom, teacher finds out a lot of interactive uses of whiteboard. It is good for teacher to use student’s intelligence and creativity in classroom teaching. A proper use of whiteboard makes the classroom teaching-learning modern, smart, active, innovative and interactive. These are my own ideas. What are your experiences? Please share with this blog. If you want to get my links, please like my Google plus page “Innovative education”. To know more please visit the page “About This Blog”.